GlyMed Plus Cell Science DNA Reset Face and Neck Cream Review : Ingredients, Side Effects, Detailed Review And More. What Is GlyMed Plus DNA Reset Face And Neck Cream? GlyMed Plus Cell Science DNA Reset Face and Neck Cream is skin care formula designed to solve skin aging. It is packed with epidermal growth factors to assist in restoring your skin to a youthful state. GlyMed Plus DNA Reset Face and Neck Cream is highly recommended for people with sagging skin, wrinkles and thinning skin on the neck. It is made to correct the genetic damage brought about by telomeres becoming shorter or even its disappearance. It is currently priced at $ 132.50. GlyMed Plus DNA Reset Face And Neck Cream- Does It Really Work? This formula is developed by a United States based company Glymed Plus.it deals with creations of high quality and professional skin care formulas. 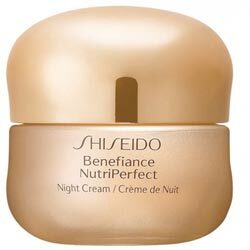 For over 20 years it has been credited with producing high-end skin care formulas. Its products are known to cleanse, treat, balance and protect your skin. 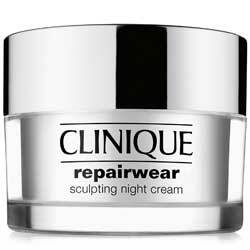 The manufacturer claims that this formula is made to solve aging on your skin. 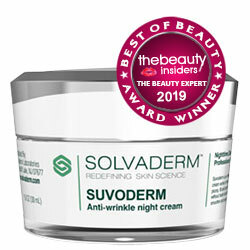 It claims that the product works to reverse the shortening and disappearing of telomeres which causes the skin to misfire and this leads to genetic damage. The manufacturer claims that the application of this formula works to improve elasticity and firmness of your skin while increasing the cell turnover and increasing penetration around the neck area.it is said to produce a soft, clear and healthy skin complexion on your neck. What Are The Ingredients Used In GlyMed Plus DNA Reset Face And Neck Cream? Astragalus membranaceous root extract- it helps in reversing telomere shortening by activating it chronically stressed cells. Malus Domestica Fruit Cell Culture Extract- it helps in delaying aging. Edelweiss plant- it helps in blocking involuntary muscle contractions. Bisabolol- protect the skin from damage by UV light. Sodium hyaluronate- This ingredient prevents irritation by helping to maintain the skin’s moisture barrier. However it may cause itching or skin irritation. Glycerin- This ingredient helps skin retain moisture while reducing inflammation but also can cause skin irritation to sensitive skin. Glyceryl stearate- it helps to improve hydration on your skin. Plankton extract- it works to repair and protect damaged skin cells. Glycine Soja (soybean) Oil- it contains antioxidant properties and also helps in reducing inflammation. Lactose- it maintains skin hydration. Clean your skin then apply in circular motions and massage to enable penetration, Use it both in the morning and at night or as directed by a skin care professional. It helps to reduce skin aging. It helps to eradicate wrinkles and fine lines. It does not require a moisturizer as it has moisturization and hydration properties. Although many user reviews say it isn’t very effective. It may cause pimples on your skin. Skin deterioration is often so distressing, and sometimes it ends up using a lot of resources and time.However, GlyMed Plus Cell Science DNA Reset Face and Neck Cream gives a promising and straightforward solution to aging wrinkles and formation of fine lines. This product is made from a combination of potent and well-balanced components that enable the reversing of the shortening of telomeres, which leads to skin damage forming wrinkles and fine lines. It is claimed to restore your skin to a youthful, radiant and healthy state. Many competitors in the market are said to offer the same formula.it is wise to take a research on this options being offered. To research on the ingredient mix and also the different prices being offered at. This will enable you buy a product that will solve aging, wrinkles and fine lines effectively and also according to your financial capability. 1.What is the Price of GlyMed Plus Cell Science DNA Reset Face and Neck Cream? 2.Does the GlyMed Plus Cell Science DNA Reset Face and Neck Cream come with money back guarantee? Answer- The manufacturer of GlyMed Plus Cell Science DNA Reset Face and Neck Cream offers a 30 days money back guarantee. 3.How to apply GlyMed Plus Cell Science DNA Reset Face and Neck Cream? Answer- Cleanse your face and neck area first then apply GlyMed Plus Cell Science DNA Reset Face and Neck Cream in circular motion and massage it. 4.Should I use the GlyMed Plus Cell Science DNA Reset Face and Neck Cream once or twice daily? Answer- Use it twice– in the morning and at night or as directed by a skin care professional. 5.Who Should Use GlyMed Plus Cell Science DNA Reset Face and Neck Cream ? Answer- GlyMed Plus Face and Neck Cream helps get smoother, plumper and lifted skin on the face and neck area. 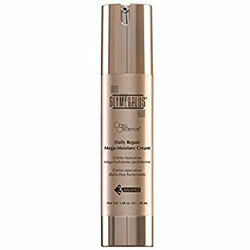 The formula is designed for all those having aging skin issues in neck and chest area.